We were recently sent the new Dynamite Dare game to review. 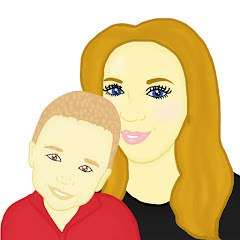 With Maxwell on the school summer holidays, Maxwell and I have been spending lots of time together. As a parent I love spending time with Maxwell and I know Maxwell enjoys spending time with me. Throughout the summer holidays we have been playing lots of games and Dynamite Dare has been a game which we have played with often. Once Dynamite Dare arrived, Maxwell and I put together the game. I found that the set up of the game was very easy to complete. All we had to do was simply add a few stickers to the game and add 2 plastic arms to the game. The set up of the game took a matter of minutes which made a change from many other games Maxwell and I had been playing through the holidays. The aim of the game is simple. Dynamite Dare is a game where you need to stop the time bomb detonating in order to win - Diffuse or lose! Players take it in turns to flip down one of the many fuses, with the hope of finding the one fuse that will stop the bomb. The game is a game which is fun yet keeps players of the game on the edge of their seats. Dynamite Dare is a fast paced challenge, and slightly addictive. 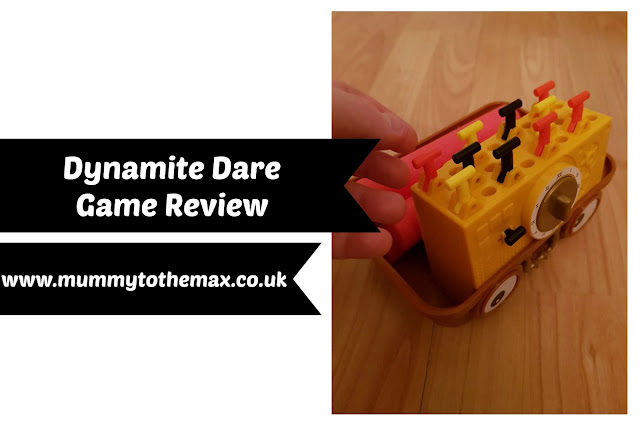 Dynamite Dare is a ideal game for our family to play with as the game is often kept very short due to the simple game play. This is perfect if you are short of time but you are looking to spend some family time together or if your child looses interest easily. Due to Maxwell's love of the game, we played the game over and over again. Maxwell enjoyed this and never got bored. Dynamite Dare is a game which does not require batteries. 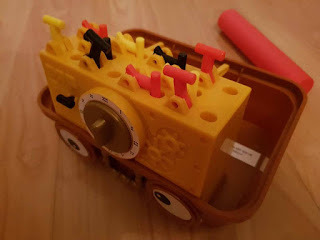 This is a welcome addition to any game as it can often be difficult to find batteries in the home when a new game arrives. A new game often requires a trip to the shops for batteries however this game is simple and easy to use. Maxwell loved playing Dynamite Dare as it kept him on the edge of his seat. Maxwell did not know when the game may explode and when it would surprise him. With every surprise, Maxwell would jump and this made the game have that fun element. 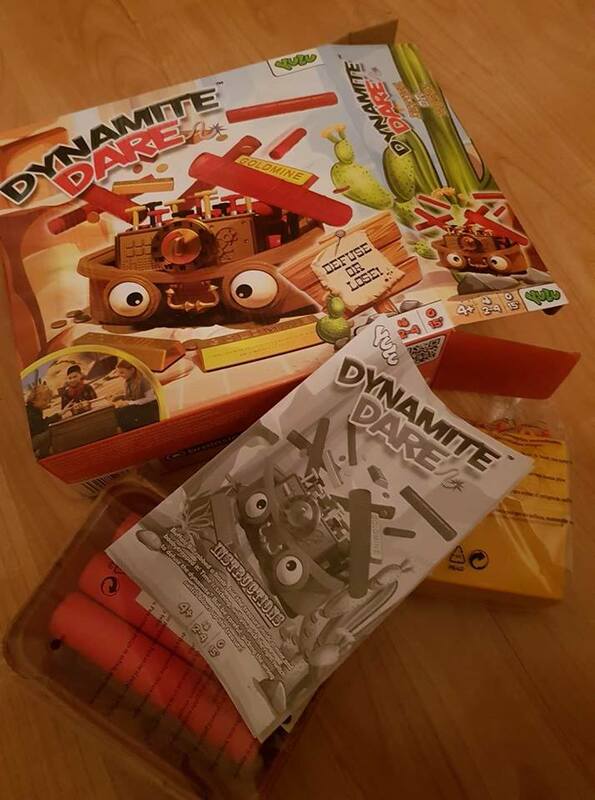 Dynamite Dare is suitable for children aged 4+. Dynamite Dare has a RRP of £19.99. It can be purchased from here. *We received a copy of Dynamite Dare for the purpose of this post. All thoughts and opinions are of my own.